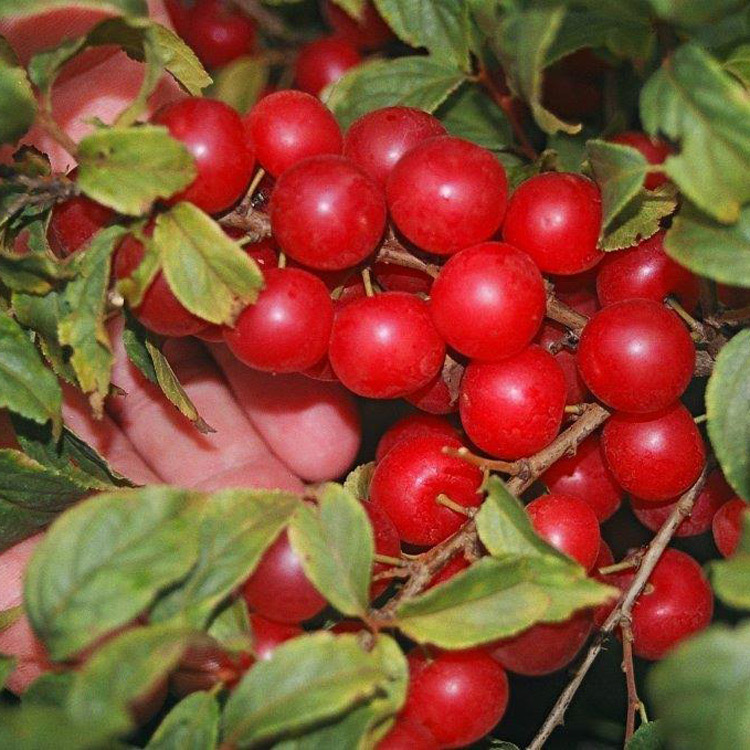 Bush Cherries were hybridized and developed by the late Elwyn Meader of Durham, New Hampshire. 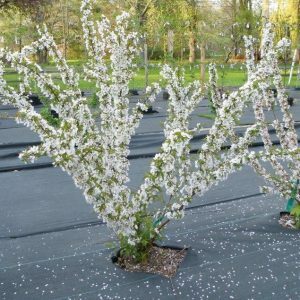 Dr. Meader wanted a Montmorency type cherry that would ripen late int he summer season to escape spring fronts for the flowers. Bird damage was another reason for late ripening cherries, because birds do not normally consume red fruits in the late summer. 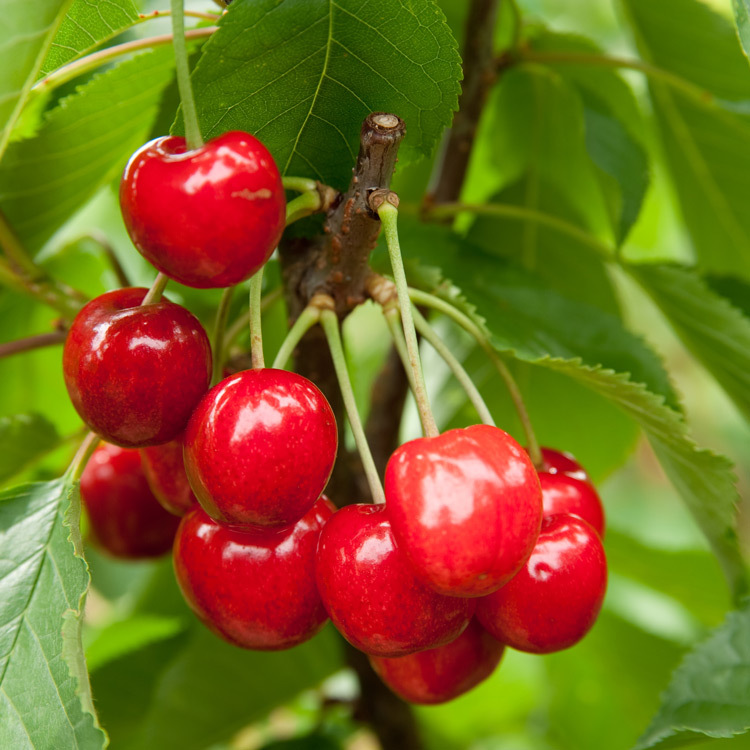 By having ripe cherries late in the season, another market is created for the grower. Sales of cherries not have two seasons. CAN NOT SELL IN CA, AZ, OR AND WA.